BetVictor have come up with a great offer – England v Slovenia odds of 5/1 for the home win. In the European Championship Qualifiers, England are currently top of the table with 9 points, followed by Slovenia in second with 6. To get these odds you’ll need to be a new customer to BetVictor and you can get there using this link. England have played Slovenia twice before and been victorious in both matches. The previous England v Slovenia match at Wembley was a friendly on 5th September 2009 with the result 2-1 thanks to goals from (at the time) Chelsea’s Frank Lampard and Totenham’s Jermain Defoe. Defoe was in great form, and just a few months afterwards hit 5 second half goals in Spurs’ 9-1 thrashing of Wigan Athletic. The other meeting between England and Slovenia was in the 2010 World Cup group stage where the Three Lions again had Jermain Defoe to thank for his 23rd minute winner. There will be no Jermain Defoe this time to influence the England v Slovenia odds but the home team will have a bumper crowd of over 80,000 behind them. A first call-up for West Brom striker Saido Berahino is fully deserved and he should cause all sorts of problems for the visiting Slovenians. Saido is the top English goal scorer in the Premier League this season. His England record at under-21 level is equally impressive – he has scored ten in ten. However, of course this is a step up to the big time. The speed of Berahino’s development has been nothing short of incredible. It’s hard to believe that just a couple of short years ago he was out on loan at Northampton Town, Brentford and Peterborough United. In the Premier League this year, he’s already netted seven goals so far. These England v Slovenia odds from BetVictor are going to be hard to beat, especially given the closeness of the two teams in the table at the current time. In terms of form, England have the edge and have won their last four matches: Estonia (12th Oct), San Marino (9th Oct), Switzerland (8th Sept) and Norway (3rd Sept). Prior to that, England drew with Costa Rica on June 24th in the 2014 World Cup. In all of these five matches, England have not conceded a solitary goal. The Slovenian national team have just beaten Lithuania 2-0 away (12th Oct) and Switzerland at home (Oct 9th), keeping clean sheets in both games. Prior to that, things were not so rosy with three successive defeats to Estonia (8th Sept), Argentina and Uruguay (World Cup). So, England are in the slightly better form right now. Don’t forget that as well as getting these great England v Slovenia odds, you’ll also pick up a free bet of £25 as a new BetVictor customer. Can’t be bad, really, can it? 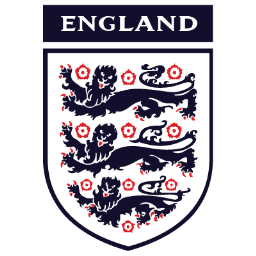 This entry was posted in Bookie Offers and tagged BetVictor Mobile App, England Betting, England Football Betting 2014, Jermain Defoe, Slovenia Betting on 10th November 2014 by Betmeister.